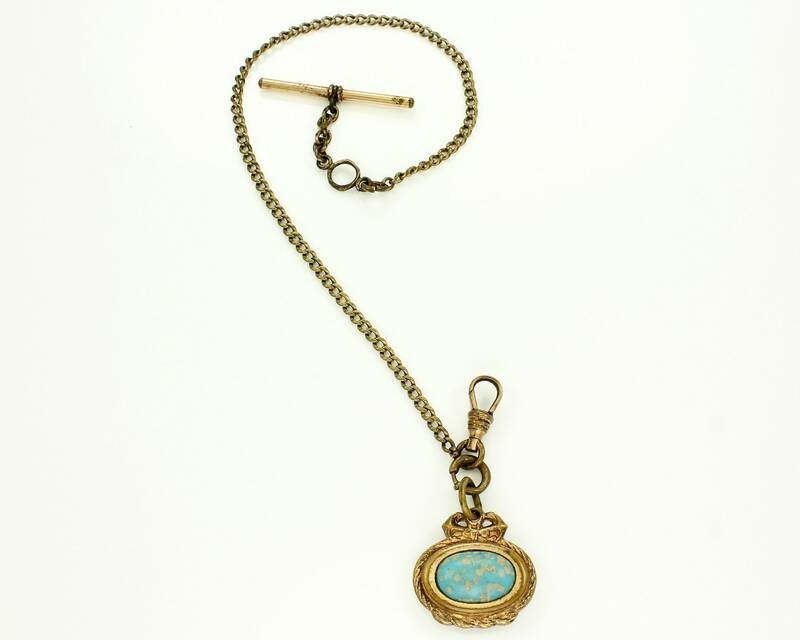 Vintage Gold Filled Watch Chain with Nautical Fob. 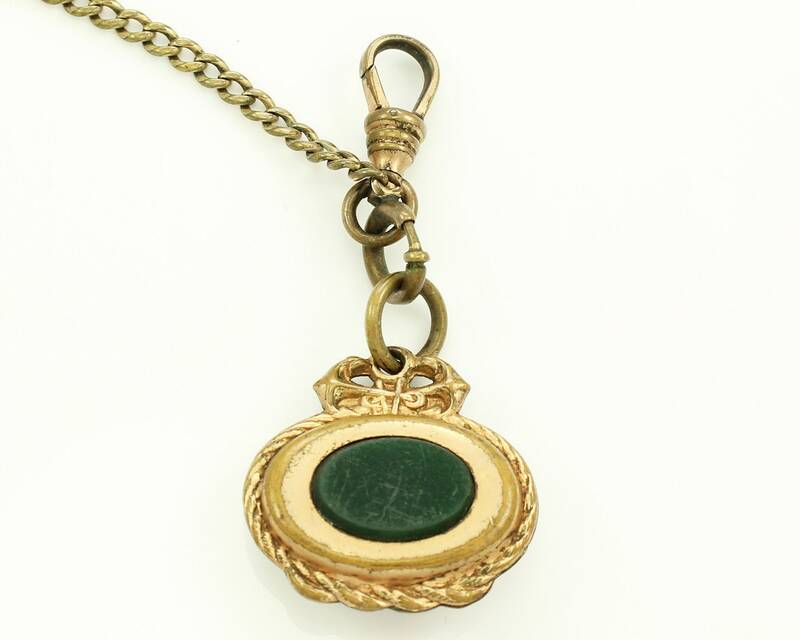 This curb chain is finished with a swivel clasp and a cute watch fob with a cabochon of turquoise glass on one side and a slab of dark green glass on the reverse. The "stones" are framed by ropes and crowned with crossed anchors. 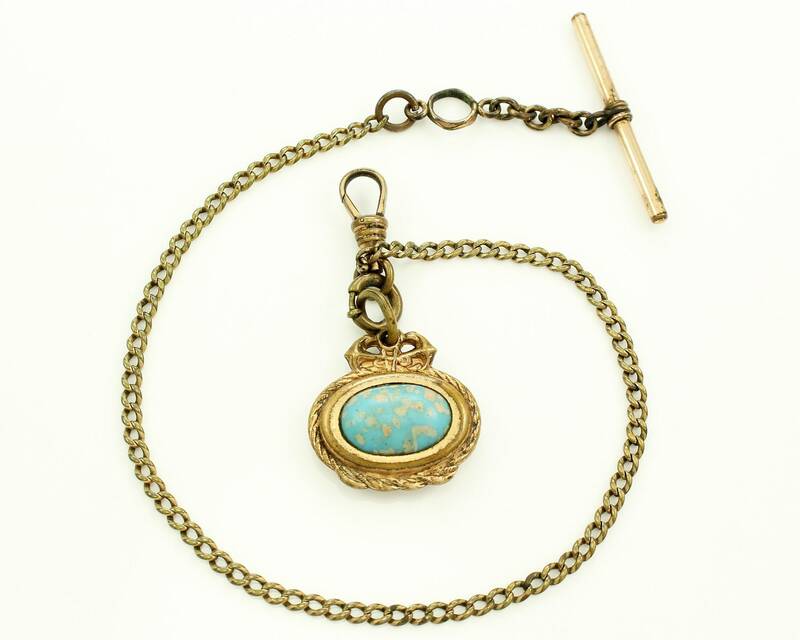 The chain is 11 1/2" long and measures 3 mm across. The fob measures approximately 23 mm x 25 mm. In Fair to Good Vintage Condition, with finish wear associated with age and scratches to the glass "stones".